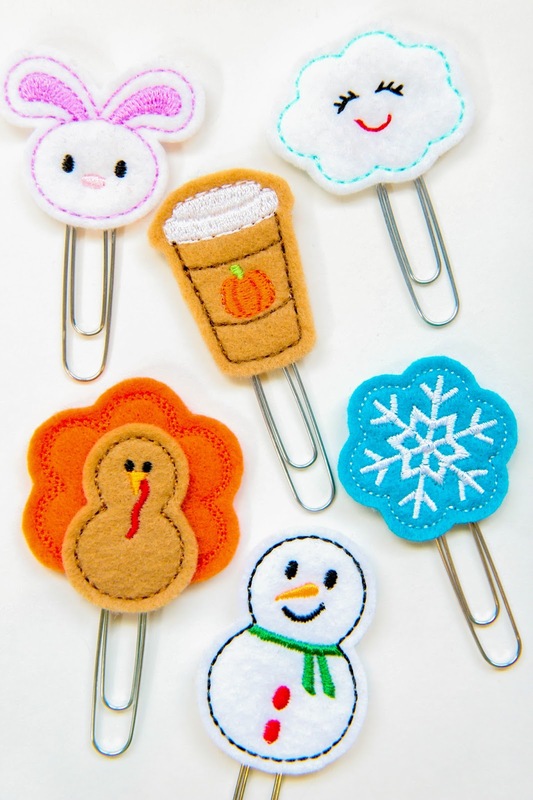 We're starting off this Monday right with a serious talk about felt paperclips. No joke. A whole post dedicated to these little beauts and my new obsession. Because I wouldn't be me if I didn't have a new obsession monthly, right? For the longest time I just didn't get decorative paperclips with planning. Because the paperclips I had were made of paper. They damaged easily and it felt like I was just throwing my money down the endless planner drain. I never used them out of fear they'd get ruined. Oh silly me. I just wasn't getting the right clips. Now that I'm exploring the world of traveler's notebooks more, paperclips seemed like the obvious next step. The top of my notebook looked a little too dull for my taste and really needed a good snazz-up. That's the technical term. I'm pretty sure I blacked out on Etsy and ordered my weight in paperclips. No lie. This post is mostly just to justify my overspending by using them for blogging's sake. Also LOOK AT HOW CUTE THEY ARE. There are more on the way to my mailbox of course because I have literally no self-restraint. My two favorite shops that are jammed packed with options are Book Nook Patch (top photo) and CreatedbyDanielle (bottom photo). Their prices are fair compared to other shops and I love that I can get a bunch from one place and save on shipping. So there ya go. 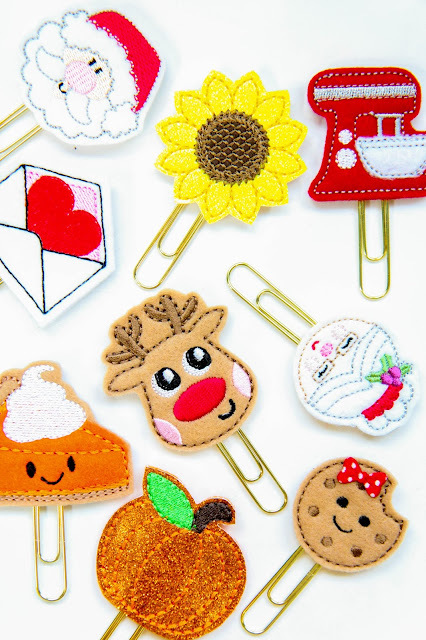 A basically pointless post rambling on about my newfound love of felt paperclips. If you have any shop suggestions, send them my way! Is Lavanila Deodorant Worth the Price?